Last week, a friend posted this somewhat dubious ad for the British Heart Foundation on Facebook. I’m going to ignore the childish innuendo for now, because I want to talk about the message behind the ad. 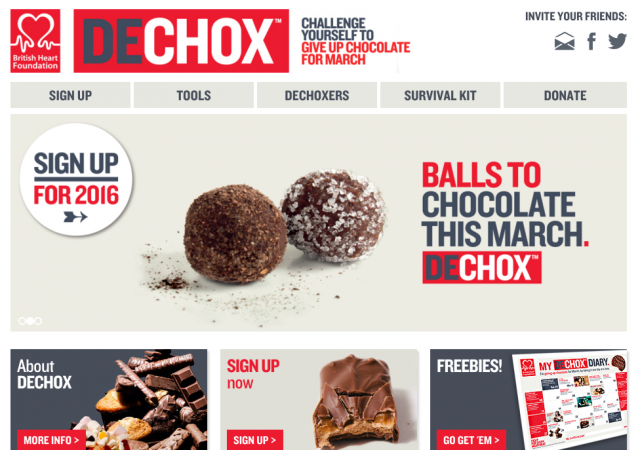 “DECHOX for March” is a campaign by the highly respected British Heart Foundation to try to get us to give up chocolate for Easter. The implication being that chocolate is clearly bad for your heart and giving up chocolate for a whole month will be a beneficial challenge. Except giving up chocolate is categorically not beneficial for your heart. Many, many scientific studies have conclusively proven that chocolate is beneficial to your heart, and can help prevent a whole range of other ailments. You’ll find links to just a few articles on the subject below. The message doesn’t seem to have got through to the experts at the BHF though. @chocablog Hi there! We’re challenging people to give up chocolate just for March – not for health benefits, but because it’s so tough! 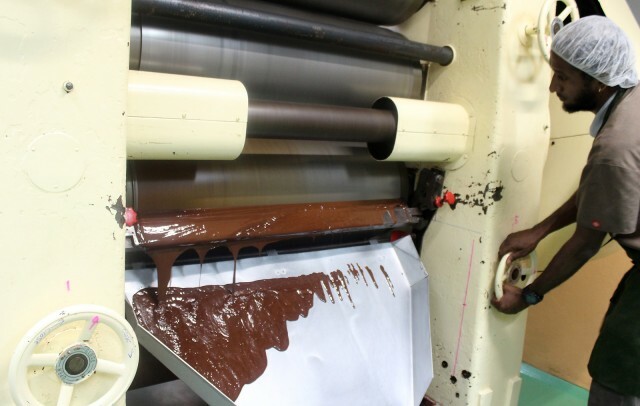 You might be thinking that the research only applies to intense, bitter, high cocoa solids chocolate that nobody really enjoys eating anyway. But you’d be wrong. Research has shown that even milk chocolate can be beneficial to the heart. When I asked the BHF why they thought it was a good idea to encourage people to quit something that is beneficial to heart health, their response was simply that it was a “tough challenge”. Of course, if you really want to promote heart health, eating a balanced and healthy diet can play a major role. Decreasing the amount of sugar you consume is generally a very good idea, but encouraging people to give up chocolate entirely is not. It reinforces the message that chocolate is somehow bad without explaining why. Most of us could use help with improving our diets. But if you really care about your heart, don’t ‘DECHOX’ this Easter, but take the opportunity to switch up to better quality chocolate. 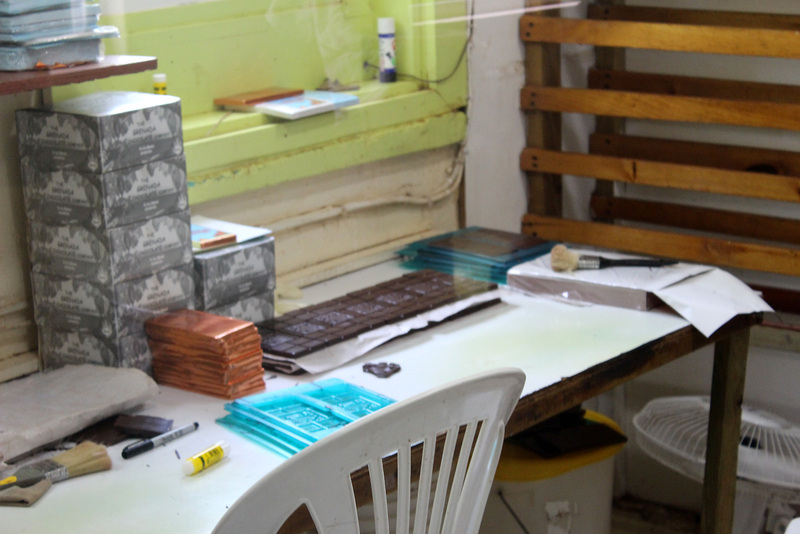 There are hundreds of craft chocolate makers producing amazing tasting chocolate these days. 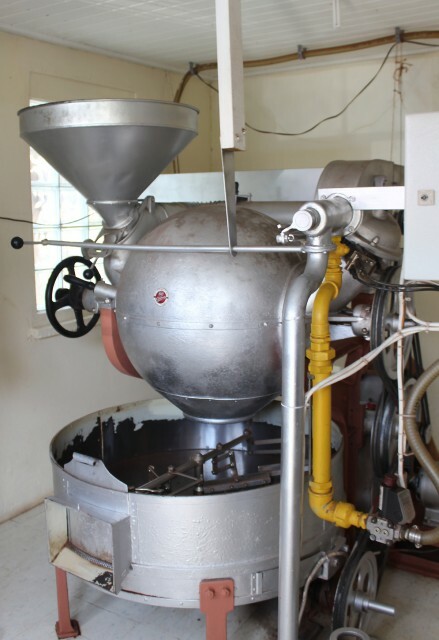 They use high quality, fine flavour beans, so even at higher cocoa percentages they won’t be bitter or unapproachable. 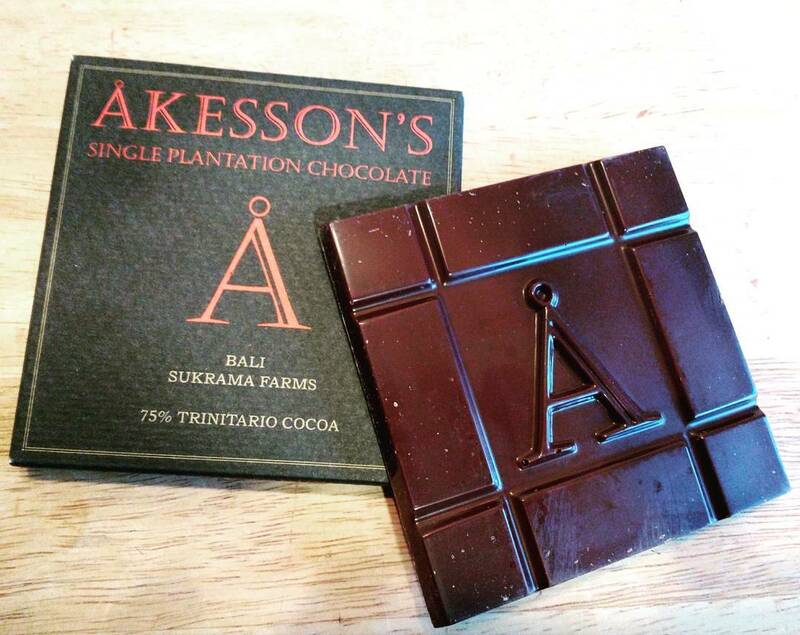 For the milk chocolate lover, a great dark milk bar will last you at least a couple of days. You’ll consume less, but get even more out of it. If you don’t know where to start, then take a look at my friends at Cocoa Runners. They have an amazing selection of bars to cater for every taste and a great recommendation system for finding the perfect bars for you. 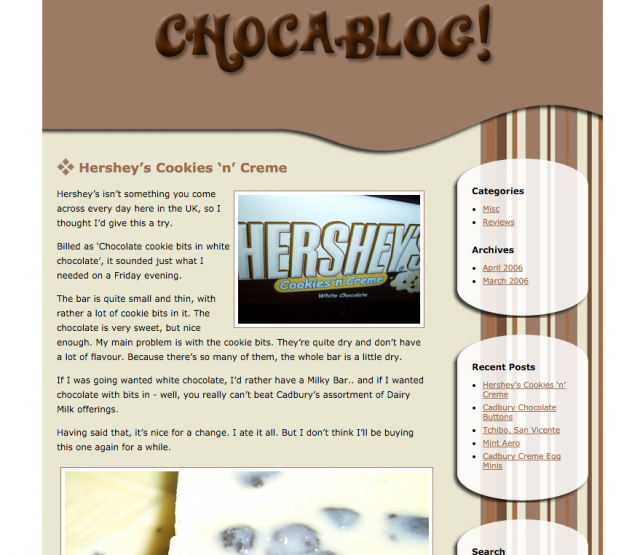 The Sweet Truth – Chocolate Can Be Heatlhy – February 2009. 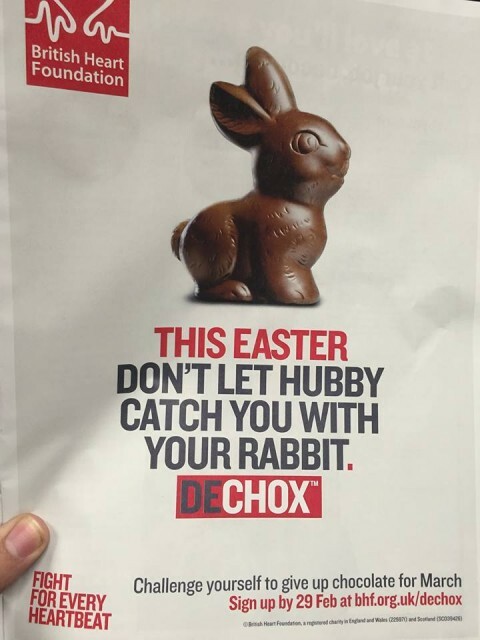 Filed under british heart foundation, dechox, easter. 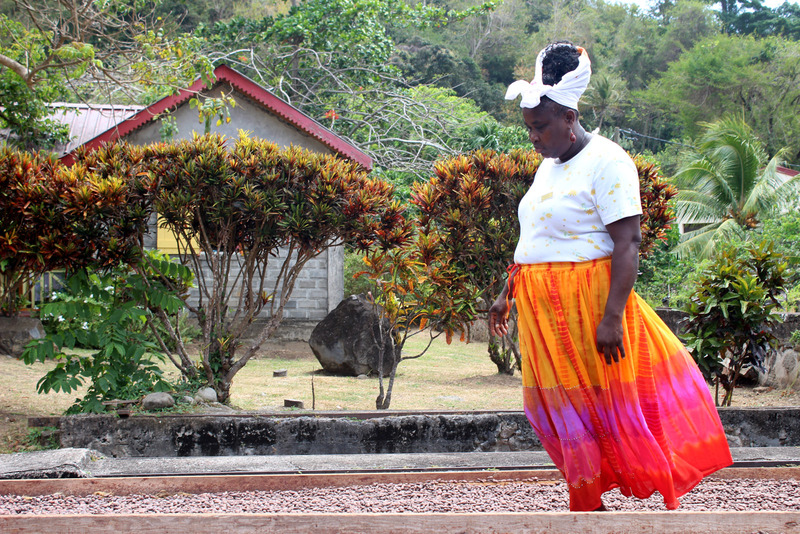 For anyone involved in the bean-to-bar chocolate industry, the Caribbean island of Grenada has a special meaning. It’s home to the Grenada Chocolate Company, probably the most ethical chocolate company on the planet. Mott Green, founder of the company sadly died two years ago, but his vision of a company owned by farmers lives on. His tiny factory, built in a converted house on the island has been an inspiration for many. 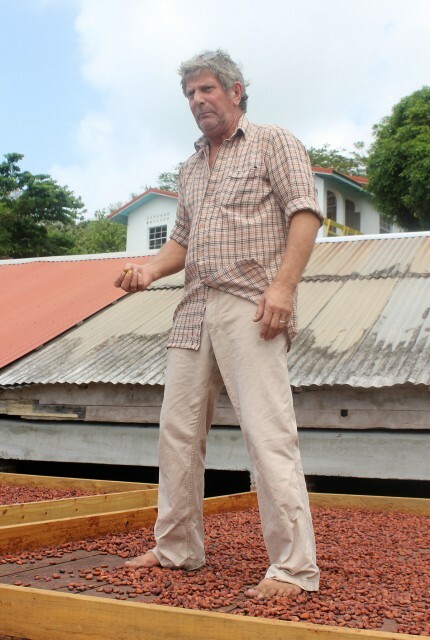 Despite its small size, the Grenada Chocolate Company has consistently produced some of the best chocolate in the world. 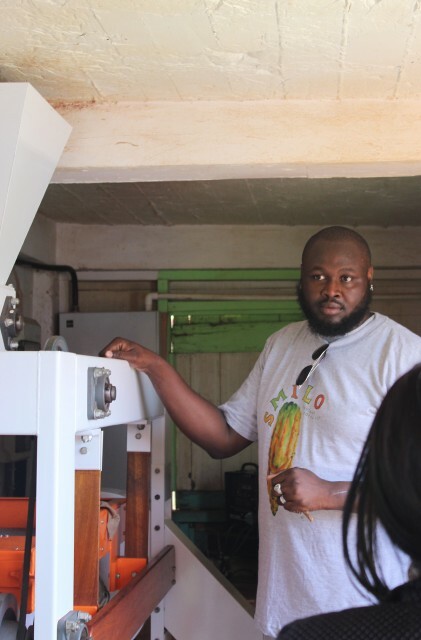 It’s farmer-owned model has helped create a whole new “tree to bar” category that helps keep the profits in the country of origin where they are needed most. For me, Grenada has been a dream destination ever since I met Mott Green. I never had the chance to visit in his lifetime, but when I was offered the chance to visit the island for the Chocolate Festival this year, I jumped at the chance. 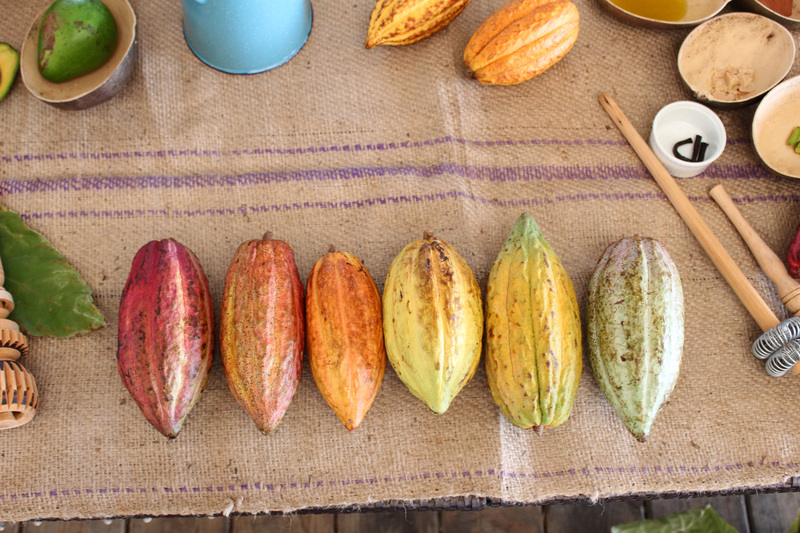 The Grenada Chocolate Festival is now in its second year and is a week long celebration of all things chocolate – and all things Grenada. 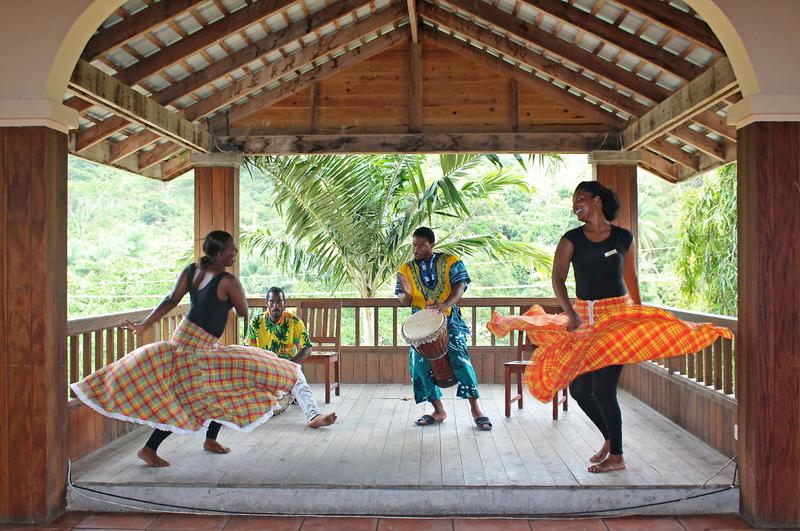 The festival is organised by Magdalena Fielden of the True Blue Bay Resort Hotel, with events taking place at the hotel and around the island. Along with a handful of journalists, we had the chance to experience everything the island had to offer. It’s safe to say that most of us knew very little of the delights that awaited us. Grenada is a small, mountainous island here just about everything grows. Aside from the beautiful beaches, there’s very little flat land at all. It’s known as the Spice Isle, so I had expected to see plenty of nutmeg, cinnamon and tropical fruits growing. 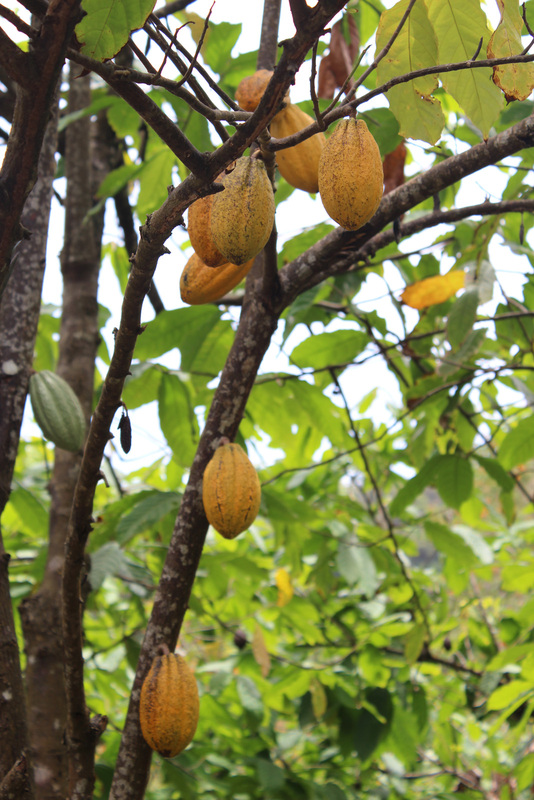 What I wasn’t expecting was to see cacao growing wild by the sides of the roads. You only need to travel 5 or 10 minutes inland and it’s literally everywhere. 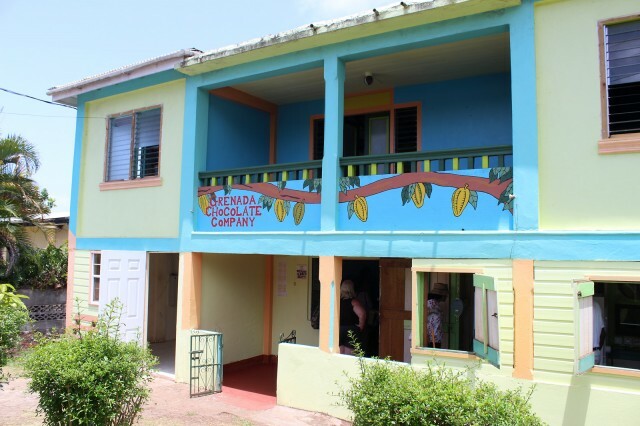 For me, this really brought home just how much of an impact Mott Green had on Grenada. 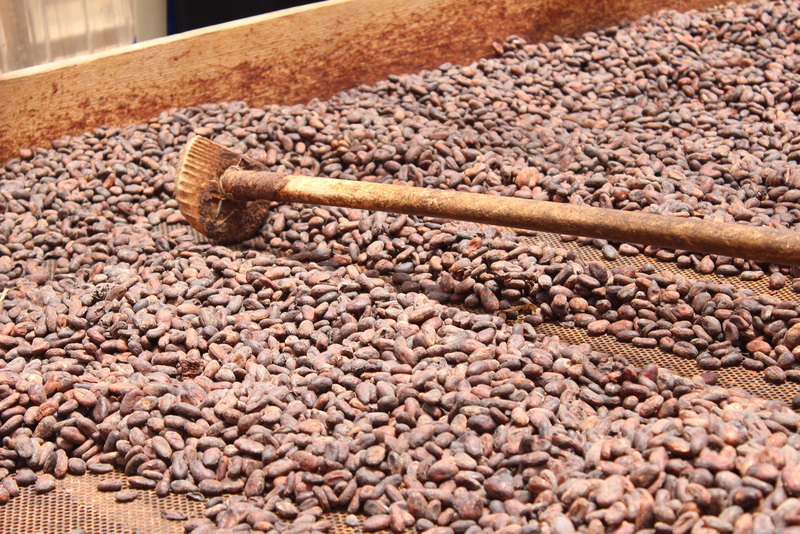 The cacao was always there, but it was either ignored or simply used to make the local cocoa tea. Mott’s vision, to create a high value product to sell to the world, helped transform lives. What’s more, it’s a vision that seems to be gathering momentum on the island. Last year, a second bean-to-bar factory opened on the island. Although not organic and part funded by American chocolate maker L.A. Burdick, Diamond Chocolate are producing bars and couverture from locally grown cacao for the local and international markets. But it’s the festival itself that is most exciting for me. 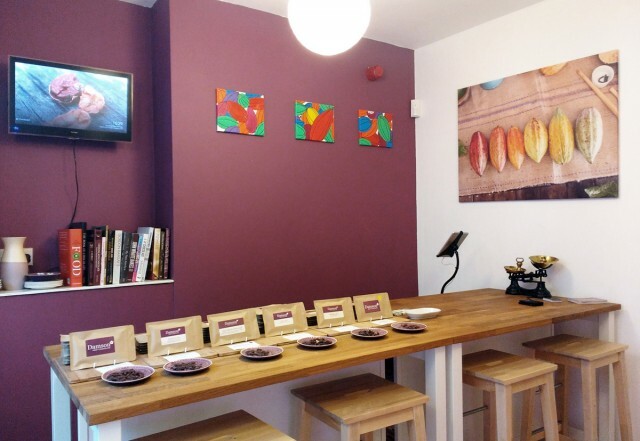 It’s not just great for us foreign chocolate lovers, but it’s a focal point for the chocolate industry on the island; a chance for everyone to come together, to learn and inspire each other. The excitement was apparent from the start. 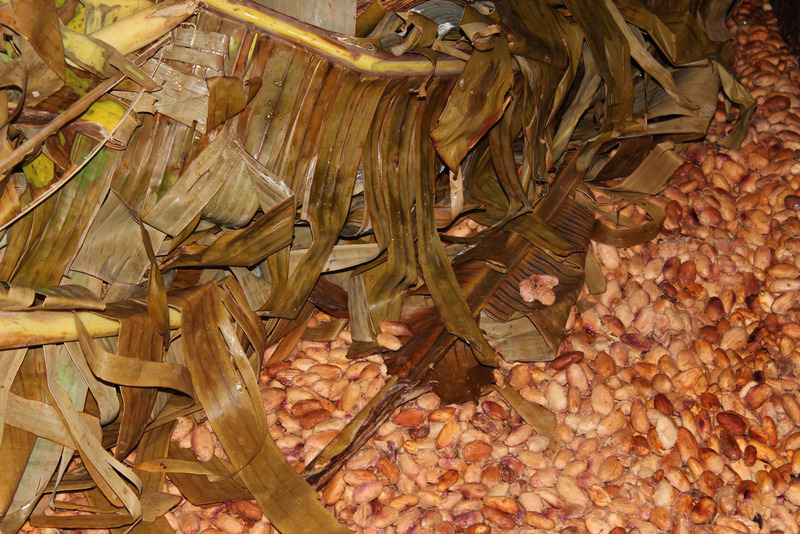 The opening party was a celebration of chocolate, cacao and Grenadian crafts. 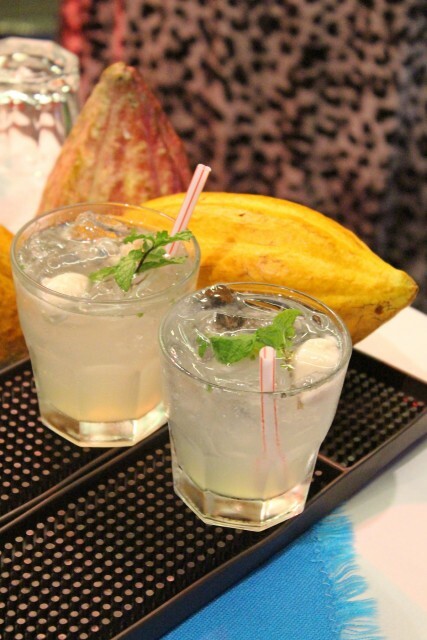 There was cocktails (including a rather lovely cacao pulp mojito), handmade chocolates, an array of locally made goods, live music and even a chocolate porter, brewed on site at the West Indies Beer Company’s microbrewery. Our week was packed full of tastings, workshops, tours, meals and plenty of rum punches. It’s almost impossible to pick out the highlights. 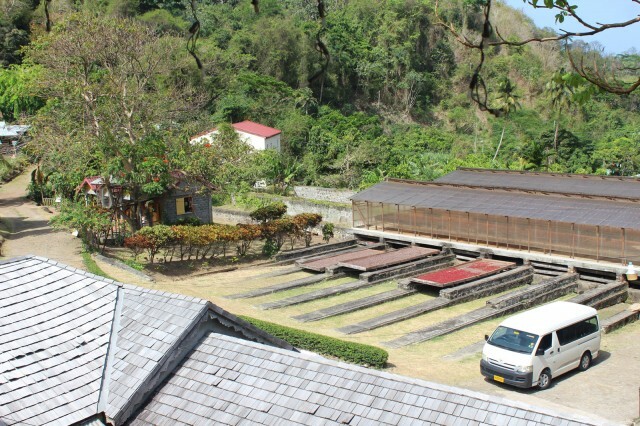 I’ll be writing separately about some of them, including our visit to the Grenada Chocolate Factory and Belmont Estate, and a fascinating tour of the Crayfish Bay organic cocoa estate. Back home in London with the festival over, I’m already longing to go back. It’s safe to say I’ve fallen in love with the Spice Isle and its people. But more than that, I’m excited for the future of the Grenada Chocolate Festival itself. 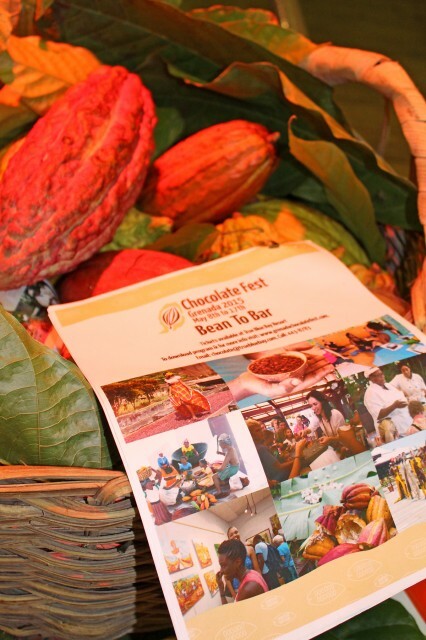 It’s certainly the most exciting chocolate event I’ve ever attended, but it also has the potential to be a focal point for Grenada’s fledgling chocolate industry. 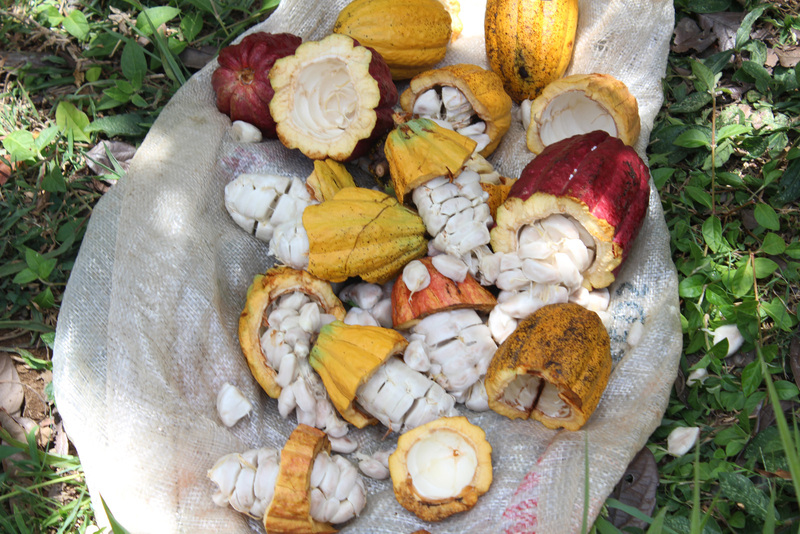 Whether you’re a chocolate lover, or you’re simply looking for the ultimate tropical holiday, I wouldn’t hesitate to recommend Grenada. The island is beautiful, the people are wonderful and the chocolate is out of this world. So what are you waiting for? Thanks to the Grenada Tourism Authority for organising our visit to Grenada and chocolate-packed trip to Grenada, to True Blue Bay Resort and Blue Horizons Garden Resort for hosting us, to everyone who made us feel welcome, and especially to Magdalena Fielden and her team for a fabulous festival. 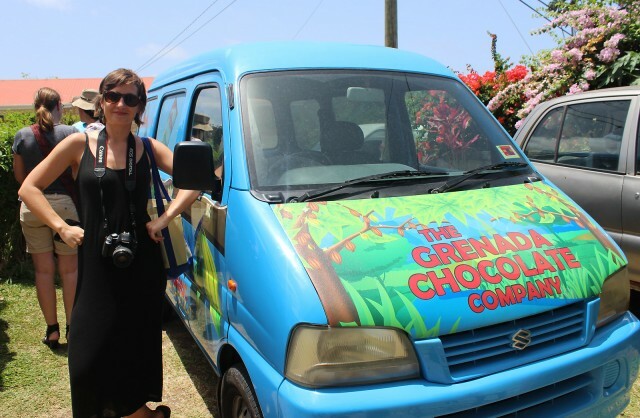 This is the first in a series of posts on our Grenada adventure. Look out for more both on Chocablog and my food & travel blog Taste.Life over the next few weeks. Filed under chocolate festival, diamond, grenada, grenada chocolate company, grenada chocolate festival, true blue bay.